I’m using a fronius Primo with the smart meter and this is the first time I’ve had a real anomaly like this before. 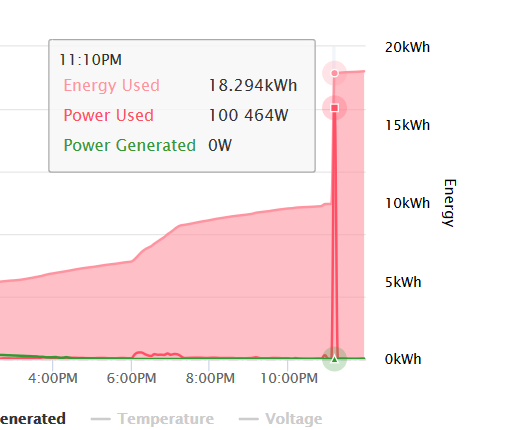 There is no chance that we actually used 9kwh in 5min! This doesn’t show up in solarweb either. I’m the first to admit I don’t really know what these mean, and have just picked up what seems to be working for other fronius users from the forums. Up until now, it’s been really accurate! Any ideas what’s going on, or how I can correct the error for that day? The power is calculated from energy, since there was a big jump in energy in a short period causing the spike in power. The reason for the jump in energy is the energy readings reported by the 5-minute push with (auto=1) is double that of the hourly log push. Unfortunately log push is only reported up to 11pm is unable to correct false readings after this time. The spike can be removed by manually sending an API request to reset power to 0W. The above has already been done, but the energy data for the rest of the night is still incorrect. Longer term we will have to add some logic to automatically handle large variances between meter push and log push after 11pm which results in such jumps in energy. Great, thanks for the explanation Appreciate it! 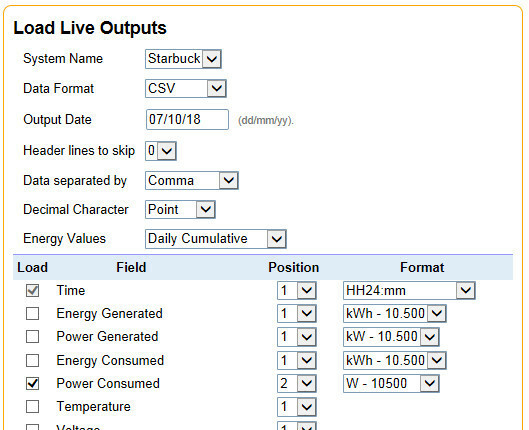 You can still do a manual correction for the data to Midnight as there are only a few points that require correcting by using the data from SolarWeb and then recalculate to tidy up the data to the end of the day. Once you have typed in the corrected entries, click on the “Validate” button at the bottom of the page. The entered data will be checked, and if all good you will see a list of the entries that will be replaced. If all is correct choose “Upload” and the current erroneous data, and the spike will be corrected. Give it a few minutes to load, then recheck the data. It should now have the spike fixed, as well as correcting the hour of incorrect usage data. If the data has now been fixed, and you want to correct any calculated usage costs, go to the daily view, and enable the tick box on the left hand side for yesterday’s data. 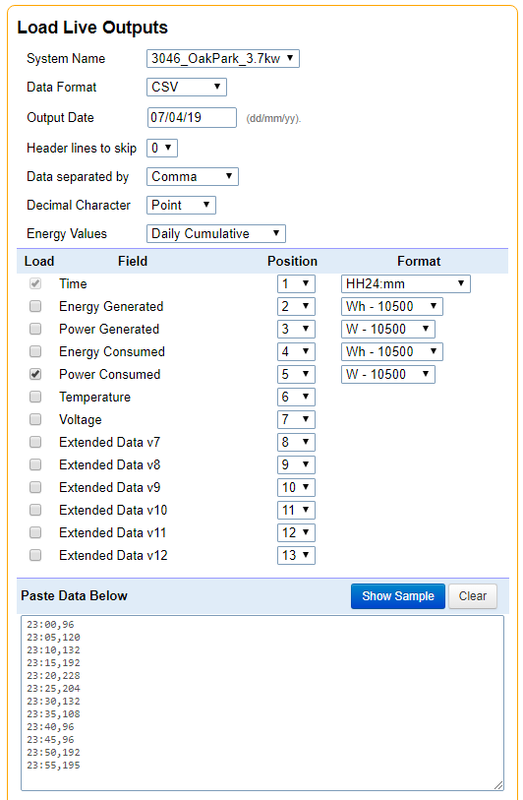 Under the daily graph, click on “more” to show further options, one of which is “Recalculate” This will recalculate the data for after the corrections for incremental totals, costs and savings. Hey thanks for the detailed reply, I really appreciate it. Perfect! thanks a lot guys! Glad it is all sorted out.